This has been a busy week, but I don't have a lot to show for it. First of all, my husband has his 50th birthday coming up next month, and I've started plans for a big party. Secondly, I installed a new digital scrapbooking program on my computer, and I've been busy setting it up and getting all of my digital pictures organized. I have/had the Creative Memories StoryBook program. However, when my old laptop was replaced I couldn't transfer the StoryBook program to my new laptop. I did a lot of research of what program to go with for making photobooks and decided to get one from the company who designed the Creative Memories program. I'm glad I did. The screens look exactly like the CM StoryBook program. As an added bonus I was able to transfer all my digital kits from CM into Panstoria's Artisan and use them. 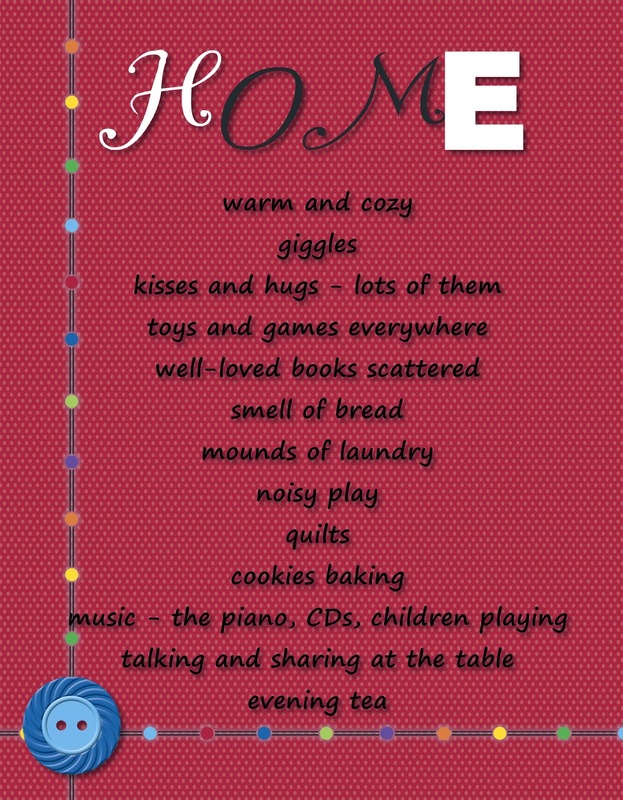 I love, love, love digital scrapbooking and was so glad to find a simple solution for what I need. 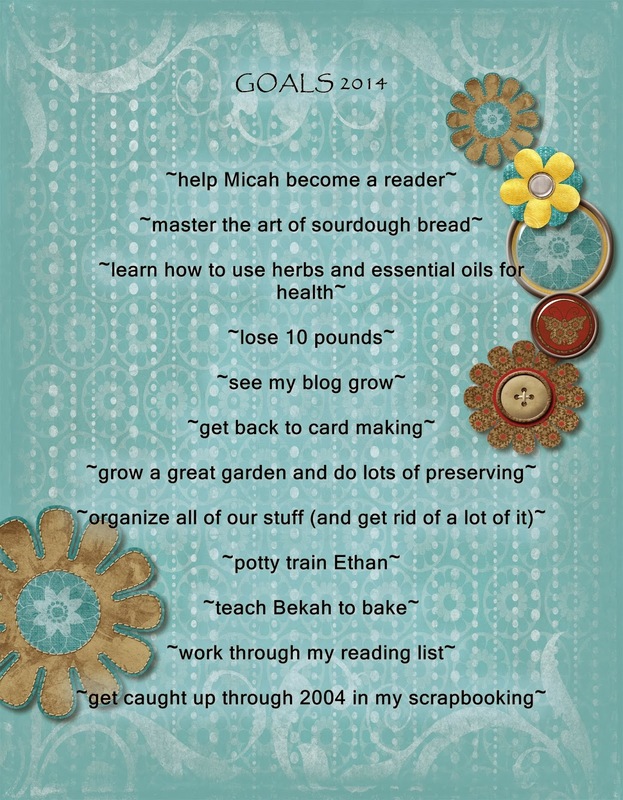 I use my digital scrapbooking to make a book everywhere that has all of our birthday and other celebrations in it. I also make a book about our family vacation every year. Last year I made one for my brother-in-law about his time in basic training. Recently I made a book for my mother-in-law's 70th birthday celebrating her life. I also make gifts and Facebook cover photos using this program. I enjoy scrapbooking with paper, but I enjoy the digital scrapbooking because there is no mess. I see value in the paper and digital which is why I do both. My children love reading books that star themselves and their siblings. 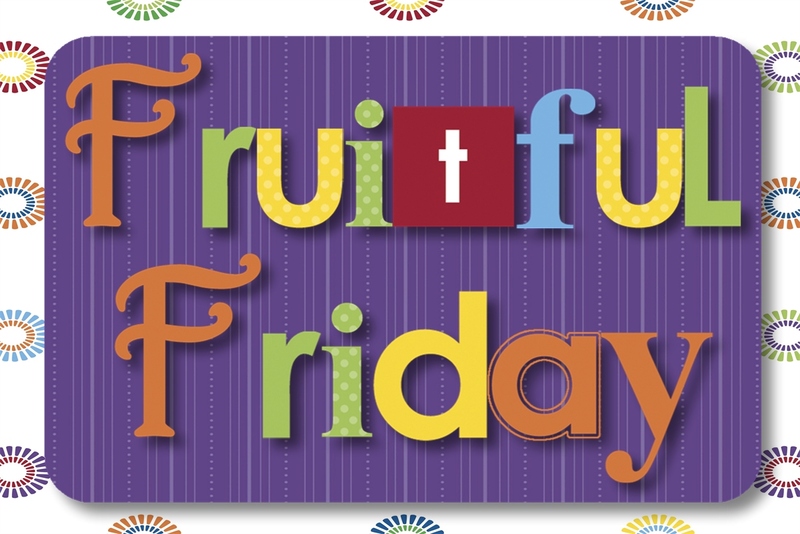 Random bits - We had our first normal week of school since the New Year started. Everyone is finally feeling better. Routine feels so good. My baby turned thirteen months this week - I can hardly believe it. My sister just found out she's expecting baby #6 after six years of no babies. We're all excited to say the least. I read a really great post this week about freezer cooking that made it seem doable. This is something I've wanted to do for a while, but couldn't wrap my head around the organization needed. Now I think I can. So how was your week - busy and feeling productive or busy but not feeling like there was much to show for it? To-do lists. I love them. I've written them for as long as I can remember. I love the feeling of crossing things off. The feeling of accomplishment. Which is why I always add things I know I'm going to do anyway - like take my vitamins - just for the pleasure of crossing it off. Believe me, when you have changed five diapers and it isn't even lunch yet, it's nice to realize you actually have accomplished more than changing diapers. My notebook system is rather awkward, but it works for me so that's what's important, right? First of all, I have a notebook that I keep my yearly type lists in. Lists like what our grain order is year to year. It's nice to have a record of what I ordered so I know how to adjust it. This year I know I need to order more spelt and steel cut oats than I did last year. I will plan out curriculum in this notebook or our vacation. My third and final notebook is my daily notebook. Nearly every morning I sit down with my weekly and daily notebook. I review my goals for that week and figure out how I'm going to move closer to accomplishing those goals. For instance, if my weekly goal is "sew a dress for Elisabeth" my daily goals will look something like this: Monday - "cut out fabric"; Tuesday - "sew bodice"; Wednesday - "attach skirt"; Thursday - "buttons and hem". If I just wrote sew Elisabeth's dress in my daily notebook that would be too overwhelming. Very rarely do I have the time to sit down and sew a dress in one sitting, but I can do a bit every day. Every day I'm crossing something off my to-do list that leaves me a step closer to a finished goal. This year I've joined a group on Facebook called "52 Lists". Every week there is a new list to write, and I have had so much fun doing these. 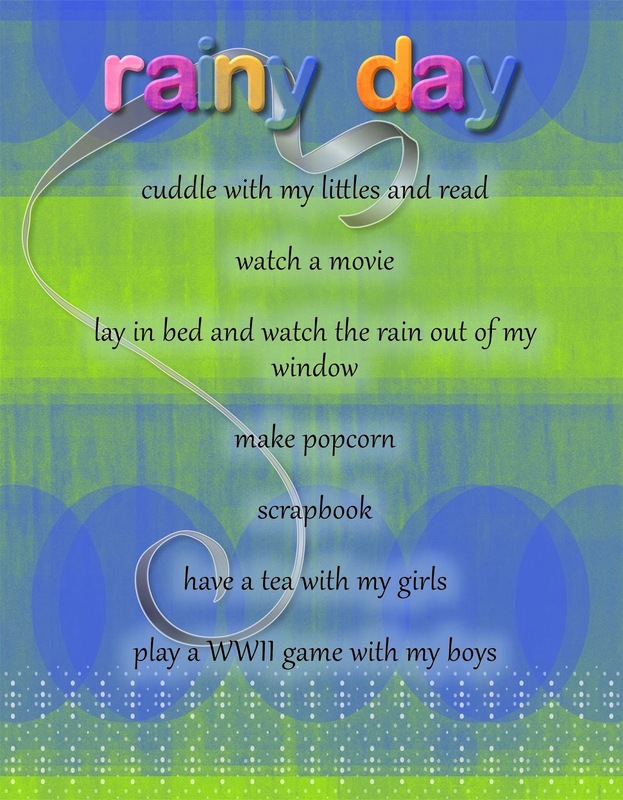 So far we have done our goals for 2014, the highlights of 2013, rainy day activities and things that remind us of home. This week is a list of our favourite quotes which really has me thinking. Below are my lists. I hope they inspire you to come and join us in this Facebook group. Making these lists has really been meaningful and fun for me. No doubt I'll share more lists with you throughout the year. Do you make lists for yourself? I finally got around to counting up my book total for 2013. I was astounded that I read a whopping 90 books last year. I have to say that a lot of that is due to my Kindle. I can easily bring a book along in the car. I can read in the dark which increases my reading time. Reading while nursing my baby is easy because the Kindle is small, light and the "pages" are easy to turn. I really, really enjoy my Kindle. My daughter recently bought The Book Thief and asked me to proofread it first. I just have to say there is a lot of swearing (which I'm whiting out). Other than that it's a good book so far even if it is narrated by Death. Different and a little eerie. So what else has our family been reading? 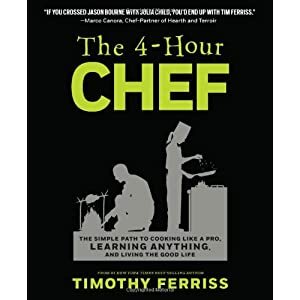 My husband - The 4-Hour Chef: The Simple Path to Cooking Like a Pro, Learning Any Skill & Living the Good Life by Timothy Ferriss. He didn't read this word for word - it's huge. He skimmed through it and will definitely go back for various things that are explained. My husband also owns The 4-Hour Body and The 4-Hour Workweek by the same author. 15-year-old daughter - Harvest of Gold by Tessa Afshar. This is a really good Christian novel set in Bible times. It is the second in a two-volume set. The first is Harvest of Rubies. 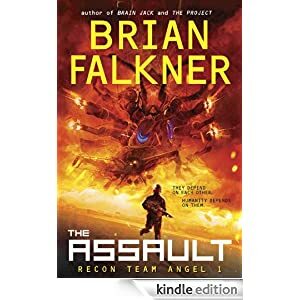 13-year-old son - The Assault by Brian Falkner. This is sci-fi. He won this book through our library's reading club. It's pretty interesting. Earth has been taken over by aliens. Several teenagers in the free world train to be able to take down the headquarters of Earth's enemies. Not something I would want to read on a regular basis but as a once-a-year deal I enjoyed it. 8-year-old daughter - Peanuts - Who doesn't love the Peanuts gang? My favourite is Snoopy. 2-year-old son - anything Peter Rabbit. He has recently "discovered" the Beatrix Potter books and loves them. I think he enjoys their size. They fit him so nicely and it's easy to carry several at once. 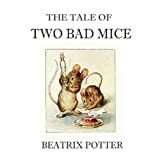 The Tale of Two Bad Mice was good for a few good giggles with a mouse named Hunca Munca. After what seems like forever I think we're finally all healthy again. Just as we were recovering from the flu my oldest son started breaking out in hives. We have no idea what he's reacting to. Personally, I'm wondering if his body is still working its way through getting rid of the flu and it took this form. Anyway, I suggested coconut oil to soothe the itchiness. He wasn't thrilled because of the smell but did it anyway. He was sold. Now he does it as a matter of course when the itching starts. It does seem to be getting less every day so hopefully we'll be past all of this. Coconut oil is so wonderful - it's antibacterial, antiviral, antifungal, as well as being a superior moisturizer. You get the picture. I figured it couldn't hurt. In fact, my toddler has a stubborn diaper rash that I've started putting coconut oil on. From diaper change to diaper change you can see his skin clearing up. To read more about this amazing product check out this post. Before things got really bad around here I managed to get some sewing projects in. First of all I made a pair of overalls for my baby. I made them with fleece. I love fleece. It is super easy to work with, and when you pick up a fleece-dressed baby they are so soft and squishy - just saying. I wasn't super crazy about the buttons but then I realized that if I turned them upside down I liked much better. I've also learned a way of sewing buttons on with my sewing machine which saves a nice little bit of time. I also made a cover for my sewing machine. I've had a charm pack of squares for several years now waiting for the right project - this was it. I lined the cover with some pink and white striped fabric. I had a little issues with making the hole for the handle but managed at last. This project I made up as I went along and overall I'm very happy with it. My sewing machine sits out all the time so it's nice to have a pretty cover for it. Finally, I was tired of my cords for my sewing machine, serger and my glue gun looking a mess and getting tangled. This picture is actually neat compared to how they normally look. I made individual pouches for each piece - no more tangles, no more mess, no more trying to figure out which cord it is exactly that I need. I used three unique material so I can easily grab just what I need. This makes my life a little simpler and only took about 45 minutes in total to make all three. I hope everyone is healthy where you live. 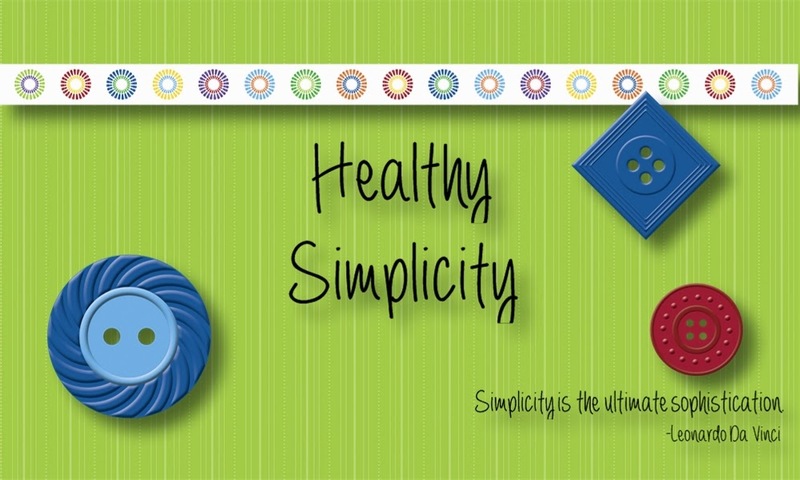 What have you done recently to simplify your life? I am truly trying to learn to be content in whatever state I am. Right now that means a house that sometimes feels about half the size that it truly is. Every week I find myself throwing things away or boxing things up to give away. But sometimes it feels like for every one thing I get rid of two more things sneak in. With eight children it is just an ongoing problem. So today I thought I would list five things I love about my house to remind me how much I have to be thankful for. Secondly, I love my kitchen - now. Last year my husband had it totally remodelled for me. I now have plenty of cupboard space with a large built-in pantry. My floor, counters and cupboard are all new, beautiful and so easy to keep clean. 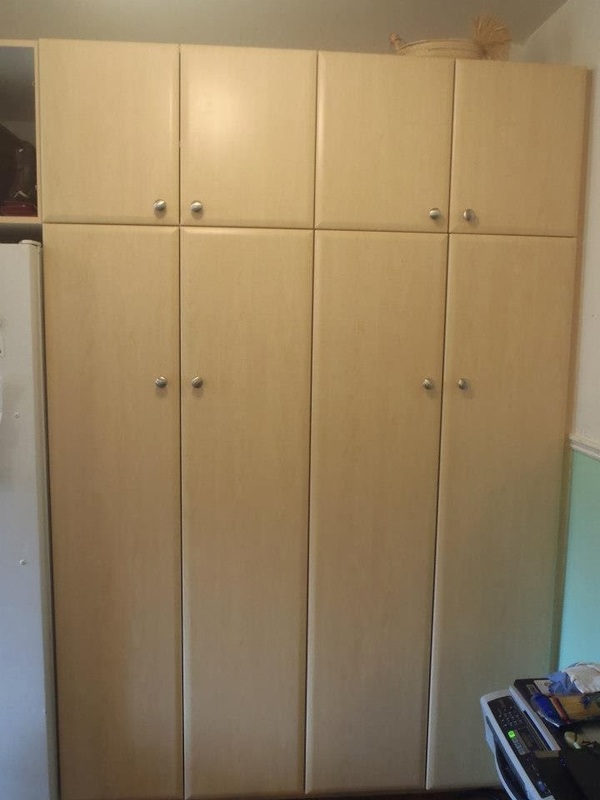 The old cupboards were always dingy no matter how much you scrubbed. I love the fresh feel to my kitchen. I spend a lot of time in it so having it fixed really made my day. Thirdly, our house backs onto a small ravine. This means we won't have houses built up behind us. There are lots of trees with a small creek. It is lovely to lay in bed and see tree tops out my window. I can almost convince myself we are not living in the city. Our two older boys like to play out in that green area, and it gives them some freedom. Fourthly, our basement has a finished room and basement with a bathroom that we were able to let the girls have for their bedroom. It's nice for girls to have their own bathroom away from the boys, and now our five boys can have two rooms instead of sharing one big one. This was a bonus for our big boys and all their legos. They can lock their door and keep their little brothers out of their projects. Finally, our backyard is fenced in and a very reasonable size. The children have a nice swing set and I have a garden with two garden boxes and a clothesline. We can fence off my area to protect plants from curious fingers and the children still have a nice area for running around in. Everyone looks so small to me. This was almost three years ago. Our house and neighbourhood have some good qualities that I will miss if we ever get to move. Your turn. Are you struggling with contentment? What do you do to gain it? I have to say - the fun has not stopped around our house. Just as we're all more or less recovered from the flu my oldest son woke up this morning with some mysterious rash all over his back and spreading rapidly. This was only my husband's second day at his new job so guess who was elected for the hospital run? We woke the baby up and once again I was thankful I breastfeed because it was one less thing to get ready. The doctor couldn't really help us as to cause just gave us a prescription and sent us home. The medicine made my son drowsy so he slept it off the rest of the morning. My toddler had continuous meltdowns because he does not handle change well and his whole life was upside-down when he woke up. So my morning was a write off. After nap time I was going to make bread, but now it's the baby's turn to fuss. The house is a mess since everything was switched up this morning so I need to clean it. BUT we really need some bread. English muffin bread to the rescue once again. Here is my original post with the recipe and directions. I love this bread. I can make four loaves in about half the time of regular bread, and it's very tasty and simple. You only need flour, water, yeast, honey and salt. It's my go-to bread when I need lots of bread in a short amount of time. Of course, short is relative. It still takes a little over two hour from start to finish, but that's about half the time of my regular bread. What is your favourite comfort food that you go to for something nutritious and filling? I am sorry that I have been away from the blog for almost a week. Our family was hit by the flu, and when I say hit I mean totally. wiped. us. out. We're almost completely better now. It feels so good to be back to our normal routine even if our appetites haven't quite come back to normal. I've been catching up on my blog reading, and after reading the Make Way Partners blog I had to make a plea to you all. Last fall I wrote a post about how our family is supporting a child in the Sudan through the Make Way Partners organization. If you have been following the news, war has broken out again in the Sudan. Some of the supplies for the orphans have not been able to get through. We have been praying for God to open a way for these supplies and in the meantime that other supplies will be available for the orphans. My heart was broken again for the people of Sudan as I read updates on the blog today. People are dying based on their ethnicity - many are children. Now Make Way Partners is organizing a way to get help even to those not directly involved in their orphanage. For $35 MWP will give one family a jerry can for collecting water, a tarp for emergency shelter, soap for sanitation and some basic food supplies. You can read the details here. I would urge you to consider supporting one of these orphans on a monthly basis or making a one-time gift to Make Way Parters. We are so blessed here in North America. Please consider doing something for those who are in such dire need. I know times are tight for everyone, but maybe you could partner with one or two friends to send $35 to help a family. Any donation will be put to good use I'm sure. Today I decided to sew something for myself. Since I don't have a dedicated sewing space I can't leave my sewing machine and serger set up. I keep them on a shelf until I need them and their respective cords in a basket along with my hot glue gun. The problem is all the cords get tangled and hang out of the basket in a messy fashion. I decided to fix that and took the first step today. I made a pouch for my glue gun and I'm going to do the same for the serger and sewing machine cords sometime this week. It was a simple project that I'm going to share because these pouches could be used for so many different organizing needs. I didn't want ties for closing the pouch because they would look messy. Neither did I want a closure that I would need to open and close - I know - lazy but since I was doing this for myself I decided to go with exactly what I wanted. I used elastic to loosely keep the opening closed. It's wide enough to put the glue gun in and out and tight enough to hold it all in. First I loosely measured my glue gun and decided I needed a pouch that was approximately nine inches square. So my fabric was about ten by twenty inches to account for seam allowances. I folded down one long edge and pressed it. Then I folded it down again a little more than the width of my fabric and sewed the casing for the fabric. I wanted the seams to look nice, but I didn't want to drag my serger out for such a small project, so I went with French seams for the side and bottom. If you don't know what a French seam is they are very simple. First put your fabric wrong sides together ﻿and sew a small seam. Turn your fabric inside out so that the right sides are facing and sew a slightly larger seam so that the first one is totally encased. When you are finished you will have a beautiful finished seam with no raw edges showing on either side. And there you have it - a simple pouch that my glue gun fits in with no cords hanging out. I used blue fabric because my glue gun is blue. I'm colour coding my pouches so I'll know what I'm grabbing - just trying to keep my life simple. Do you have a dedicated area for sewing/crafts, or do you have to take everything out when you want to sew or craft? Today I'm very happy to introduce you to my sister, Julie. We've had our up and downs in our relationship, but are closer today than we have ever been in our lives. We both homeschool. She has five children with one graduated already. She doesn't currently have a nursing baby, but she is as passionate about breastfeeding as I am. We both play the piano and love to sew. We Skype, chat on Facebook, or call each other on the phone almost every day. 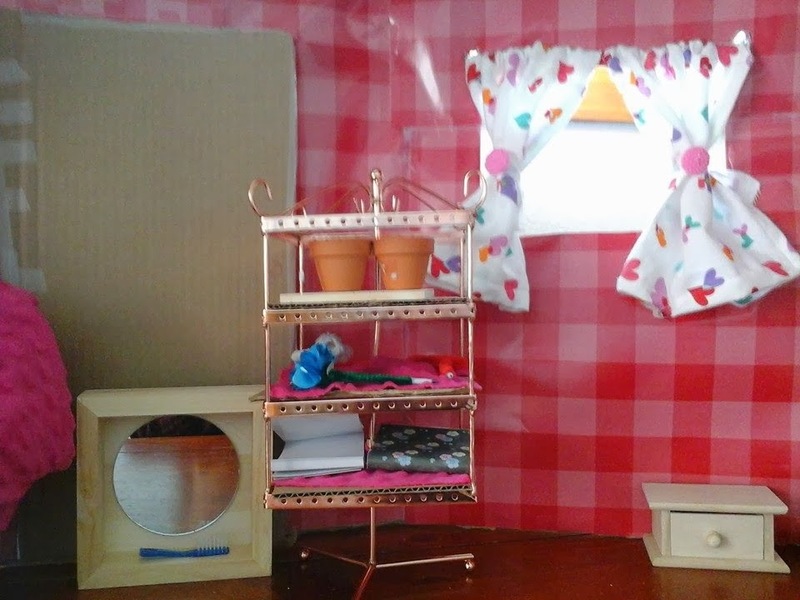 She made an absolutely adorable doll house for her youngest daughter with the help of her two oldest daughters. I asked her to share with us about how they did this. 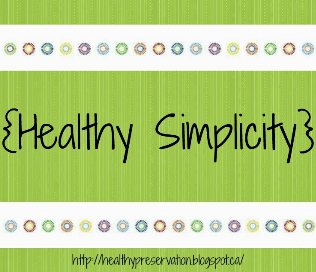 I love my big sister's blog on Healthy Simplicity. My sister has inspired me over the years to dig deep into my creative being and start making more and more homemade gifts. I think she would agree with me that it is certainly a dying art nowadays, and I'd love my children to take hold of it and keep it alive. Since we have 6 out of 7 birthdays between September 24th and January 11th (never mind Christmas in between there too), I have started through the years to come up with "unique" gifts whether for their birthday or Christmas. This year for my daughter's 6th birthday, we decided to buy her a used American Girl doll and then make her a play house and accessories to go along with her doll. 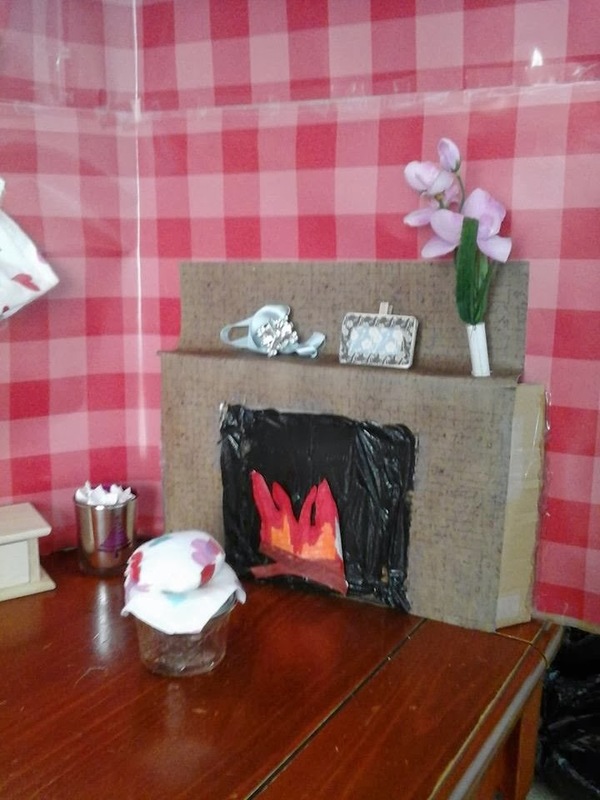 My two older daughters and I started with making a cut out of a house from cardboard. We had some paper (thanks to work throwing it out) that served as the "wallpaper". Emilie did a great job at cutting out the door and windows and covering it all with the pink plaid (the door is now covered, too). 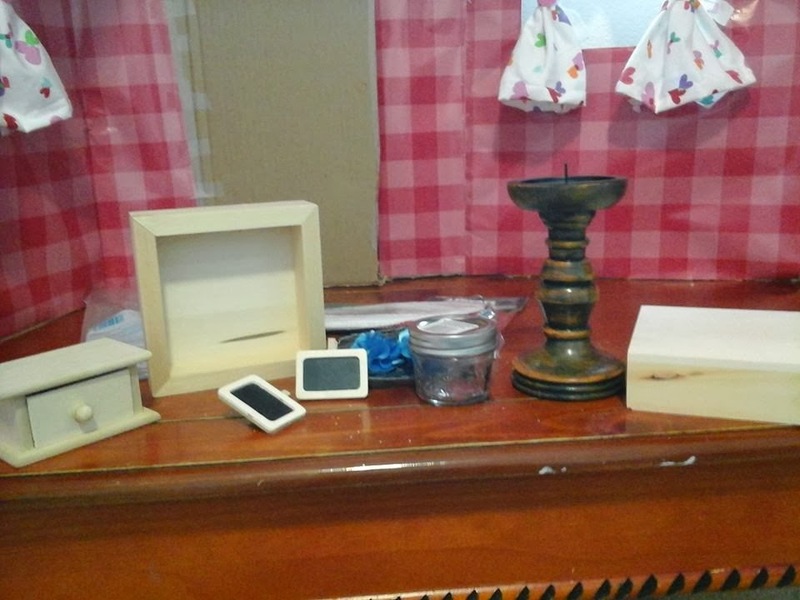 Then, we went hunting for things around our house to use as well as clearance items at Joann Fabrics. Here's what we found. I found these clip on miniature chalkboards at Joann Fabrics and Crafts in their dollar section and as you can see, she turned one into a picture on the mantel. Genevieve made a bouquet of flowers and they put a pretty "necklace" on the mantel for her doll to wear. In browsing Pinterest for ideas, we saw someone had used a glass jar with fabric and batting glued on top for a storage/ottoman. Sorry, I can't find the link again but it is quite simple - your items listed above and hot glue and voila you're done. 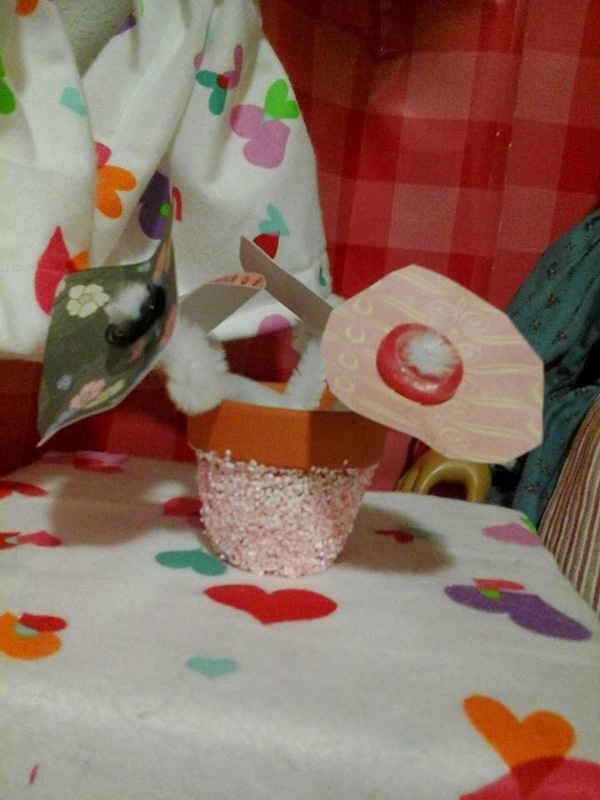 Genevieve made these flowers using pretty scrapbooking paper, pipe cleaners and buttons. It was her idea and I think she did well. Emilie took some tiny pots I had bought on clearance for 8 cents each and covered them with glitter. Let's hope they stay on the pot! Next, we found this jewellery holder (another item that was thrown out at work), and Emilie just added some shelving to it and Stef's doll now has a place to store her journals, her pens, her pots and anything else she wants. We took another wooden frame and turned it around for a shelf. Emilie hot glued a mirror inside, and we found miniature toothbrushes at the dollar store. She cut off the end and made a handle out of a pipe cleaner so the doll can hold it on her own. We wanted to hang it on the wall but we weren't sure it would hold (the wall being cardboard). I think Stef will have fun rearranging her furniture in her doll house. Lastly, we made a journal for Stef's doll because every doll needs a journal to write her thoughts in. 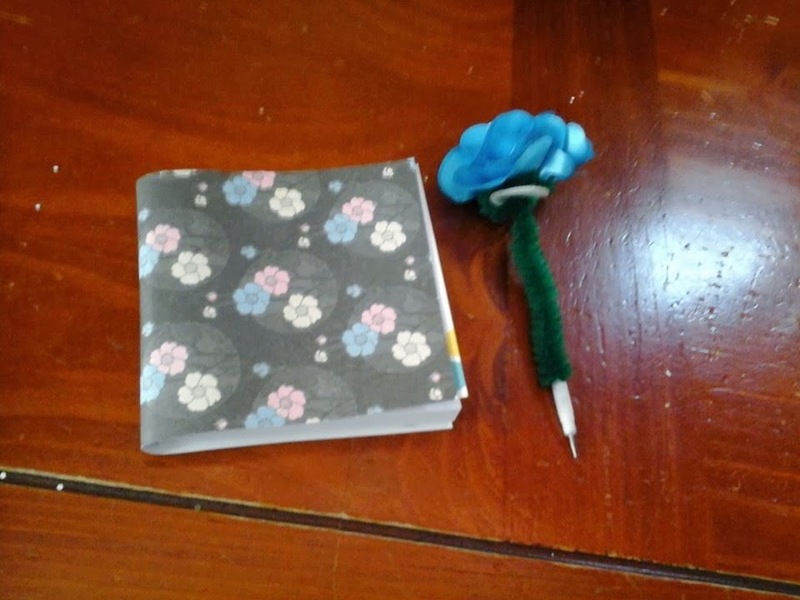 We used a post-it note pad and covered it again with scrapbooking paper and made a flower pen. Emilie has gone over and above with these accessories, and she had so much fun. I'm sure we will be adding to it as time goes on. For more ideas, you can go to my Pinterest boards - http://www.pinterest.com/gemsjewel/crafts/. I have hopes to do a few more things for Stef, like plastic canvas hangers! Now, as my sister knows, no dollhouse is complete without clothes for the doll to wear. 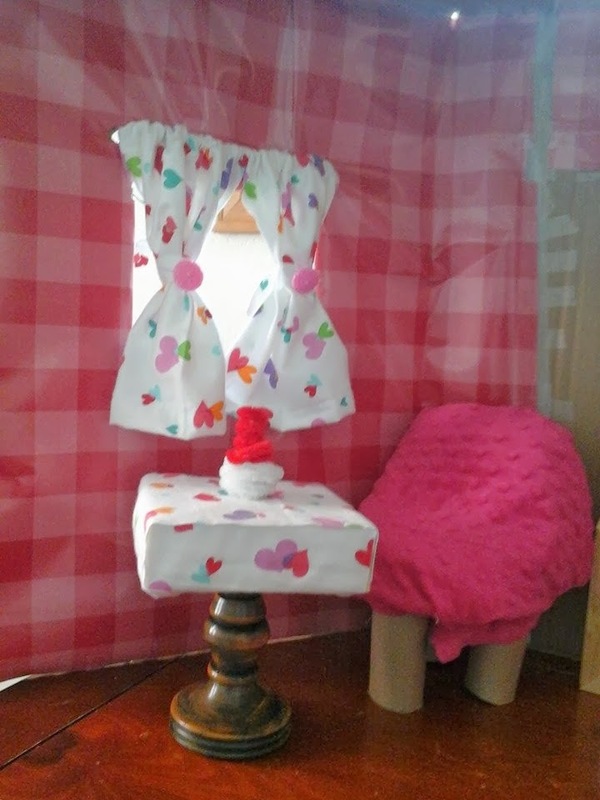 I made a coat, a couple of skirts, a blouse and a blanket for Stef's doll and doll bed. All of these items including the clothes cost me less than $30! Now THAT'S a deal! What girl wouldn't love this? Can't wait for her to start playing with it and for us to play with her! Hope this has given you a few ideas of what YOU can do when you put your mind to it!